Want to solve a murder mystery? Nab an art museum bandit? Escape zombies and prevent global destruction? Now you can! Escape rooms are the newest trend in entertainment. Couples, families and friends around the world enjoy working together, discovering clues and solving puzzles to complete a mission. Critical thinking and collaboration is essential. Why not transfer those skills to the classroom through similar activities? Students were curious and excited to tackle this mystery. 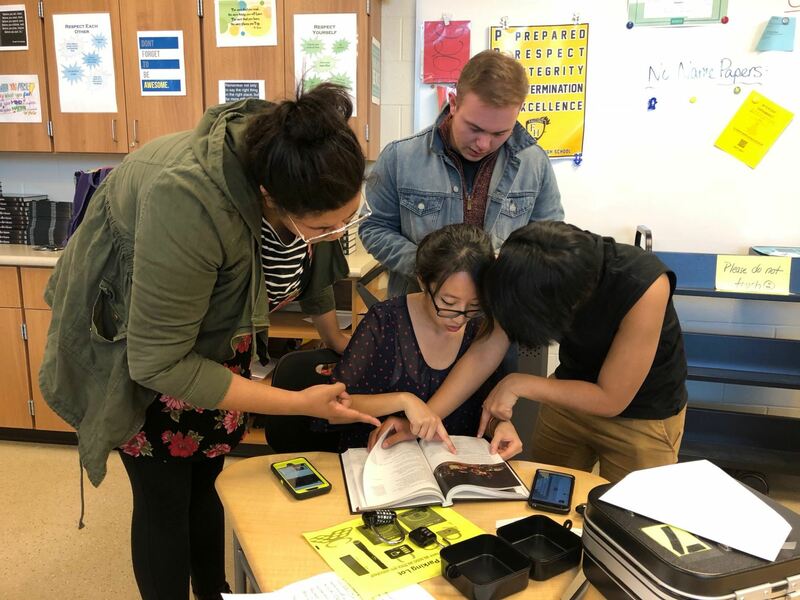 The first clue comes from the allusion in the lyrics: “Though I walk through the valley of the shadow of death.” Upon hearing that line, most students recognized the words and used their electronics to find the source. For those who didn’t notice the allusion, I rewound the line again and again until it was painfully obvious! The line leads them to Psalm 23:4, which is the code for the first lock. Inside the box they found an black flashlight and a poem- another clue. By using the literary terms we studied in class, they were able to solve a variety of puzzles, open the final box and find their reward! Since the first try was a success, I also had my general ed English classes try breakouts over literary terms and also Macbeth. The results were the same. This is an engaging activity to use with students at any level! 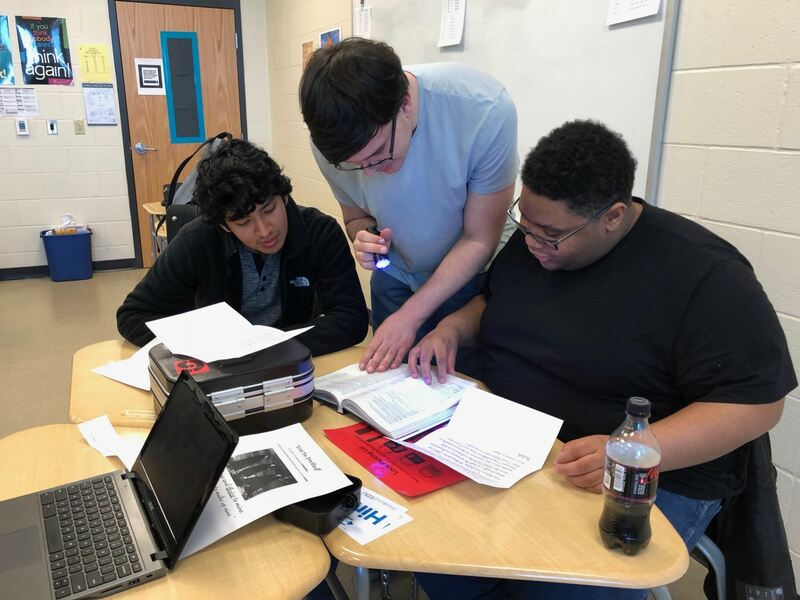 Our resourceful media specialist was fortunate to receive a grant from the South-Western City Schools Education Foundation to purchase the equipment. 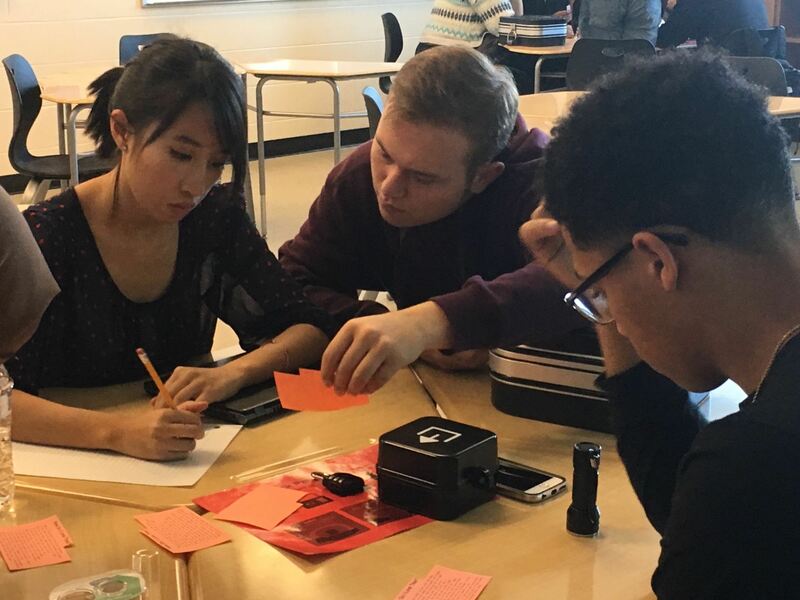 Breakout EDU has many free scenarios available. Our next step will be having the students create their own breakout games. The critical thinking skills necessary to plan the clues will take it to a higher level. I would strongly suggest trying it out with your students! Love this idea! I must try!